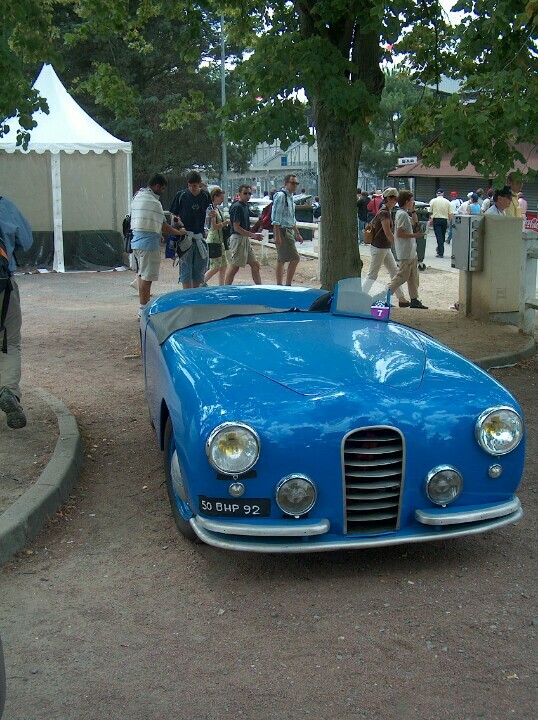 Callista car number 56, the 1950 Le Mans car as it is today. 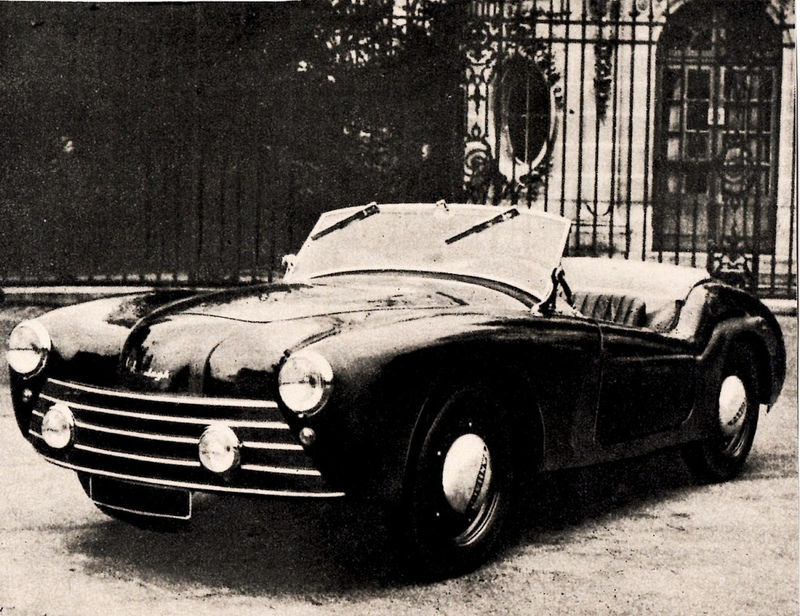 Ranelagh Sport: the road going version of the 1951 Le Mans Car. There were three distinct phases, represented loosely by the three accompanying photos; Callista, Arista Rallye, and the final stage, Arista JD – JD standing for J Durand. 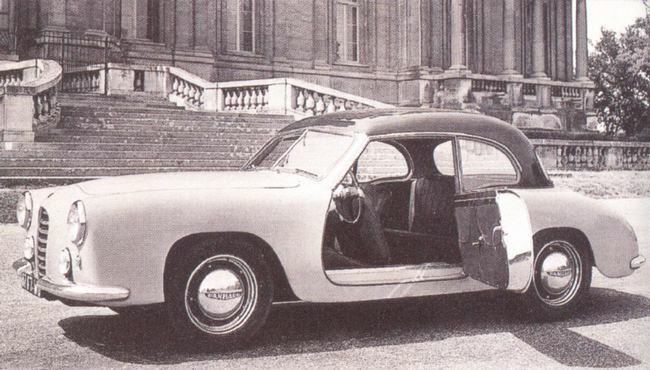 All were based on the twin cylinder Panhard and its running gear, tracing a path from the early Dyna to the last Tigre. In the early days racing formed an important promotional function for the company, with a Monge tuned 610cc engine and an all up weight of 550 kg. However, from there they branched out into a number of different road focused models. Arista JD through the rear hatch.